China has reportedly stationed anti-ship cruise missiles and surface-to-air missile systems on the Spratly Islands in the highly disputed South China Sea. The missiles are believed to have a range of 295 nautical miles and 160 nautical miles, respectively. US officials said the latest developments would "only serve to raise tensions and create greater distrust." Anti-ship cruise missiles and surface-to-air missile systems were stationed on Chinese outposts in the contested South China Sea, in yet another signal that China intends to cement its presence on the disputed islands. Sources familiar with US intelligence reports said the weapons systems were installed on three fortified outposts in the Spratly Islands, west of the Philippines, within the last 30 days, according to a CNBC report. The YJ-12B anti-ship cruise missiles would provide China the ability to engage surface vessels within 295 nautical miles of the reefs; and the HQ-9B surface-to-air missiles are expected to have a range of 160 nautical miles, CNBC reported. "We have consistently called on China, as well as other claimants, to refrain from further land reclamation, construction of new facilities, and militarization of disputed features, and to commit to managing and resolving disputes peacefully with other claimants," a Pentagon official said to CNBC. "The further militarization of outposts will only serve to raise tensions and create greater distrust among claimants." 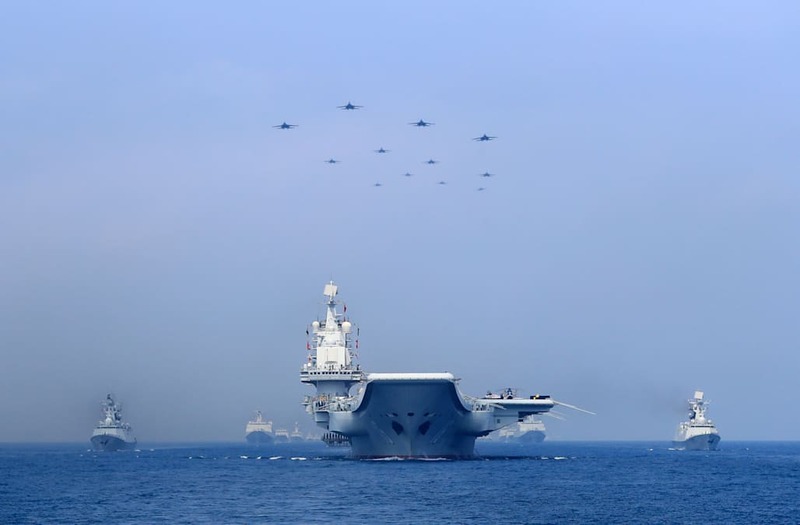 China's increased military presence in the region comes amid another maneuver, one which exacerbated concerns among the US military and its allies. US officials said that in early April, intelligence officers detected China was moving radar and communications-jamming equipment to the Spratly Island outposts. "This is not something that the US will look kindly on or think they can overlook." Stratfor military analyst Omar Lamrani told Business Insider editor Alex Lockie, when asked about potential moves to jam communications channels. "The US will likely seek to counter this in some way," he said. Six countries, China, Taiwan, the Philippines, Vietnam, Malaysia, and Brunei, are contesting at least part of the chain of islands, reefs, and surrounding waters in the South China Sea. Located between Vietnam and the Philippines, the natural resources and trade routes that pass through the Spratly Islands are a lucrative venture for the countries — around $3.4 trillion in trade is reportedly transported through the South China Sea every year. China has been one of the most prominent claimants to territory in the South China Sea since the 1980s. It currently has around 27 outposts throughout the islands and has continued to outfit them with aircraft runways, lighthouses, tourist resorts, hospitals, and farms. According to some experts, the creation of civilian attractions in the region signals that China is undertaking a two-pronged approach in attempts to legitimize its ownership — by arguing it has a vested interest in the region, both militarily and otherwise.